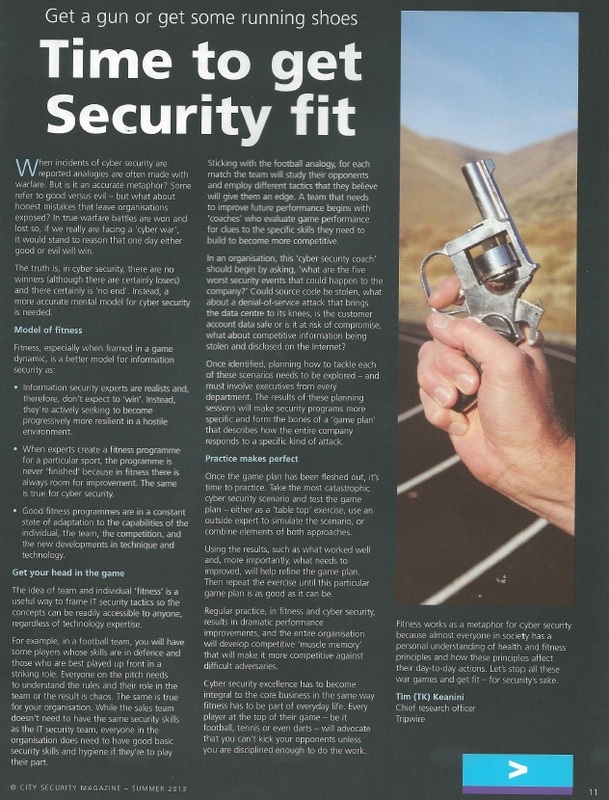 An article I wrote on cyber security and how we need a better metaphor than ‘war’ just ran in a UK publication called City Security Magazine. I hope you enjoy it. This entry was posted in crime, CyberCrime. Bookmark the permalink.